The SculpSure® body sculpting system is a revolutionary system that provides non-invasive, effective body contouring. This service is ideal for patients who aren’t happy with the shape of their body but don’t want more dramatic or invasive treatments, such as liposuction. Total Wellness MediSpa is proud to offer SculpSure body contouring to their patients. To make an appointment, please contact our office in Prince George's County, Largo, Maryland. 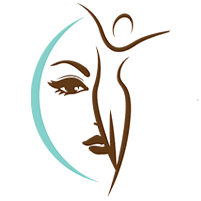 Body contouring is a cosmetic treatment designed to improve the aesthetic appeal of various parts of the body by eliminating specific groups of fat cells. It isn’t a surgical treatment, so it poses fewer risks to patients than most alternatives. However, the results of body contouring are also less dramatic than surgery. Total Wellness MediSpa uses the SculpSure laser system to provide body contouring to patients. The SculpSure system uses laser energy to destroy fat cells and improve your body’s appearance. During treatment, the system heats fat cells from the outside of the body using targeted laser energy. The heat kills the fat cells while preserving the surrounding tissue. After the fat cells are dead, the body eliminates them through the lymphatic system. Will the fat cells reappear? Fat cells won’t regenerate after treatment with SculpSure. However, if you gain weight, the shape of your body may change, and you may need additional treatment sessions. When is body contouring appropriate? Body contouring may be beneficial if you want to make subtle changes to the shape of your body and aren’t interested in undergoing a more invasive procedure. If you hope to dramatically change your appearance, another treatment option may be better. SculpSure treatment sessions are usually 25 minutes in length or less. After the procedure is complete, you’ll be able to go home on the same day, and you won’t have any activity restrictions. Keep in mind that you may need more than one treatment session to achieve your desired results. When do the results of SculpSure appear? After SculpSure treatment, you may begin to notice some changes to your appearance in as little as 6 weeks. Within 12 weeks, you’ll be able to see the full results of the procedure. During body contouring with SculpSure, you shouldn’t experience any significant pain. Throughout the procedure, you’ll feel a cooling sensation designed to prevent discomfort. When the laser is active, you may experience brief periods of mild warmth or tingling.